Customized Girl offers high quality custom apparel. There are four main areas where we try to exceed your expectations, and we will explain each in detail below. As you can see, we're passionate about quality. And we have a very specific and unique approach to each area. This is where it begins. 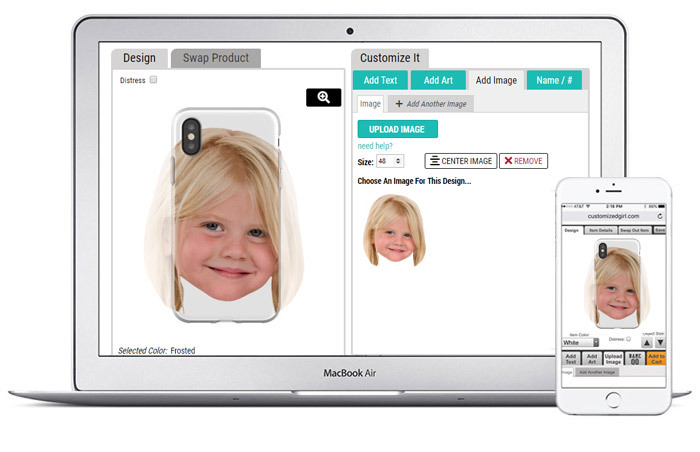 Our goal is to display the design on your screen so that it matches what you will receive in your package. Depending on the item, we apply several graphic effects to your design as you create it in the design center including a multiply effect, masking effect, and notably, an opacity effect. The opacity effect is important because some items print more vibrantly than others. For example, white text on a black, 100% cotton t-shirt will be fairly vibrant. Compare that to our Bella Flowy line, and you'll see cute tops made out of a trendier, thinner material. Because the material is thinner, the final print will not be quite as vibrant so we include an opacity to make the design on your screen less vibrant as well. The design should still look great, the final print will look great, and thanks to the technology we've built for our rendering engine, the design and print should match up exactly. What is the key to creating a beautiful print? Simple. You start with beautiful art. 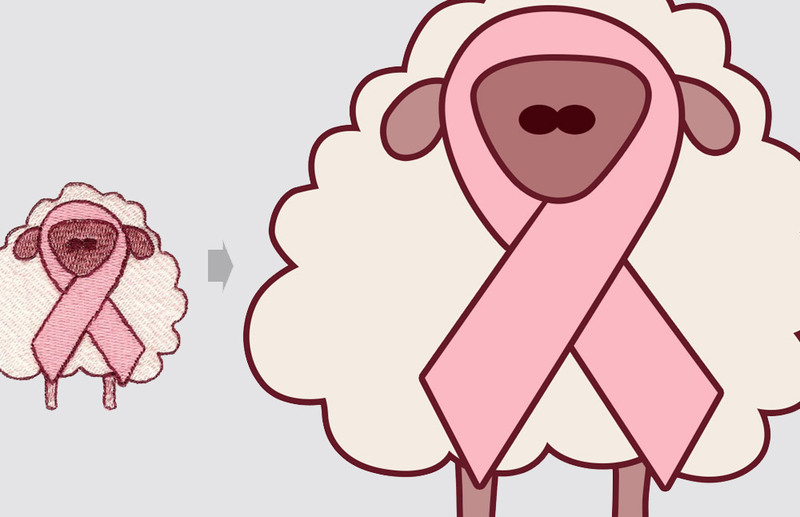 We have two art teams here at Customized Girl, and they both do great work. First is our Art Assist team. If you have an image you'd like to print, but the quality isn't so great, just email us. Our Art Assist team can make it awesome. We do this all day, every day for all kinds of customers. Click these examples to see larger versions. Second is our Art Department. Our Art Department looks at the print file for every order that comes through our system. They've been doing this for 13 years, and with that kind of experience, they know what you're trying to achieve. 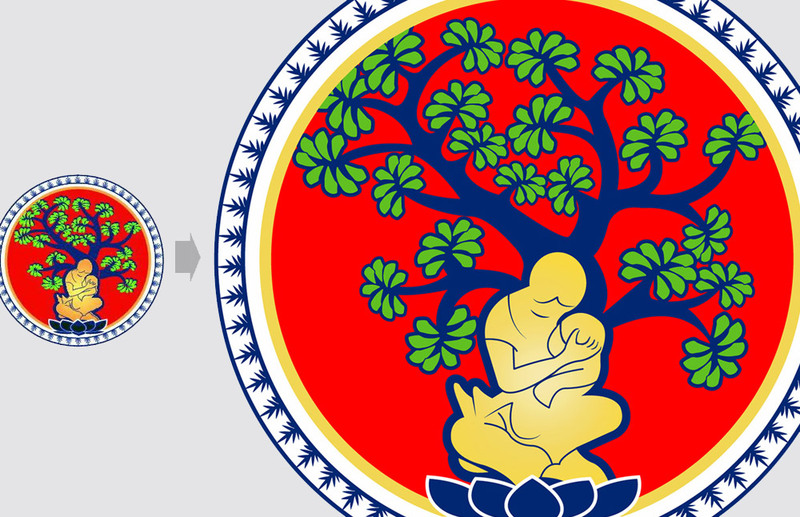 For example, if your design has several elements and they are almost all centered, our Art Department will go ahead and center those elements for you. They'll make sure your design looks great and then they'll send it off to our print team. We spend a lot of time testing each new item before we add it to the site. Part of that time is spent carefully considering the best possible decoration method for that item. 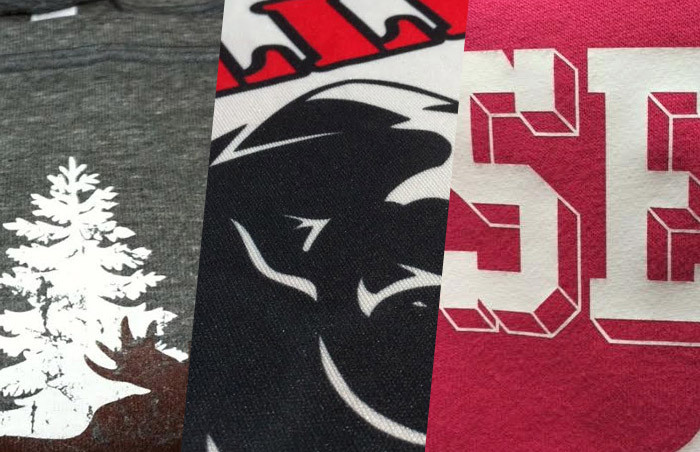 We use three main decoration methods: Direct-to-Garment Digital Printing (DTG), Sublimation, and what we call "Film", an ultra-thin, precision-cut material heat pressed onto your items. You can read more about our printing technology here. 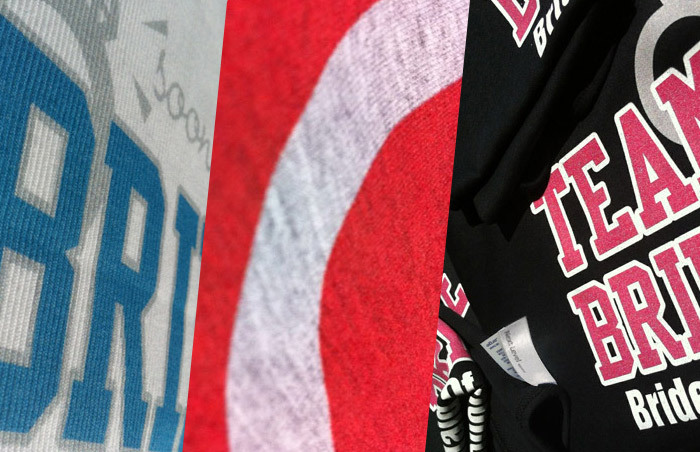 Most of our apparel is printed using DTG Digital Printing. As this technology became more mainstream around 2010, there were mixed feelings about the results. There still are today. This is because DTG printing is tricky and not everyone is good at it. We are. It starts with the overall philosophical approach. We want to send out great stuff. We want you to love your print. The other three items listed here are certainly a factor as well. Also, we're constantly testing and adjusting every setting imaginable. We adjust the humidity of the air near the printers. We've created a program to control the ink volume levels and pretreat levels for each individual item on our site. Those levels are constantly adjusted too. The list goes on, but the point is this: you can create beautiful prints if you want to, and we really, really want to. 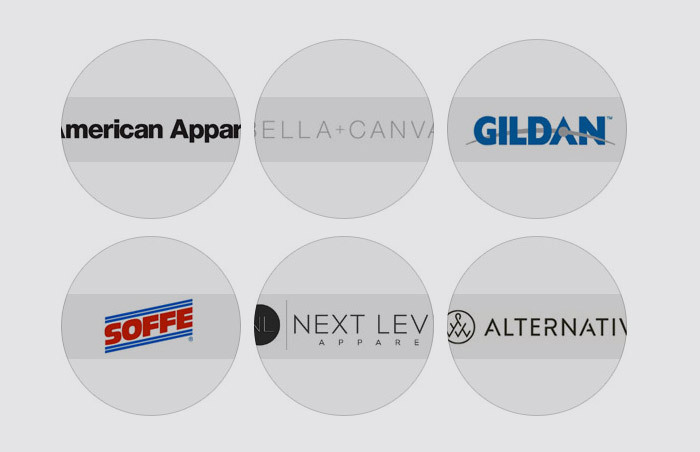 We only carry the best brands like American Apparel, Gildan, Bella+Canvas, and Next Level. If you're not quite ready to place your order now, sign up for our newsletter below. Join us and make your moment. Questions? Contact us.